As a gaming store, we could not continue to do what we love if it weren't for you, our amazing gamers. So in the spirit of the holidays, we want to show our appreciation for all of you! We're hosting a gaming night, and firing off door prizes and raffles for accessories, gift certificates, and board games while you're here! Just enter our raffle then settle in with your favorite games. Every person who enters will also receive a $5 off coupon just for showing up! 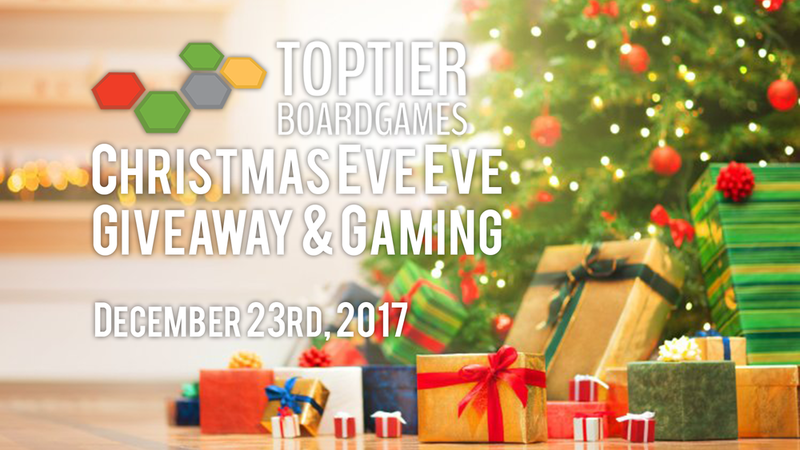 We're looking forward to another great year of gaming with you, so from all of us here at Top Tier Board Games, we want to thank you for your continued support, and wish you a Merry Christmas and Happy Holidays!